You can read first part here. For the next days we have planned to see the east coast, which is supposed to be less touristic as it takes some time to get there and is less developed but it known for a beautiful underwater world. Great, that's what we are looking for. 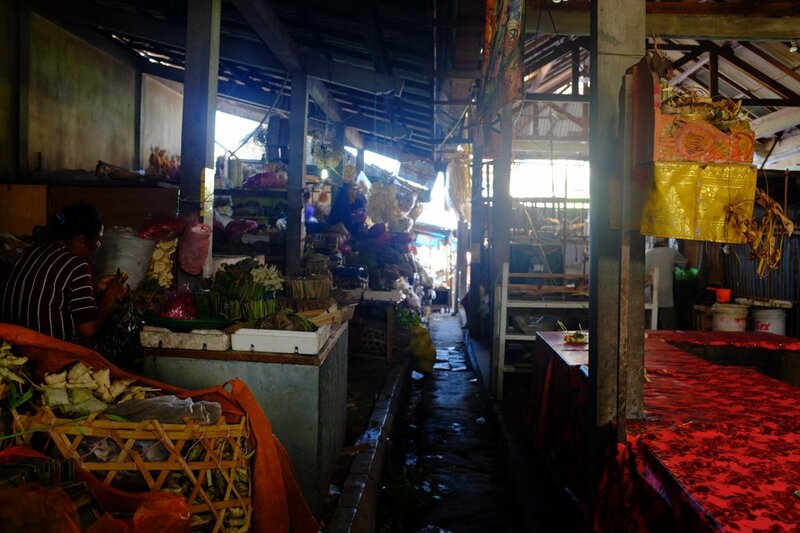 On the way we pass by Klungkung market, and it has amazing vibes and items. We are the only tourists, which feels a bit weird... The fabrics are beautiful, lots of fruits and small alleys and shops, don't want to be lost. We don't buy anything, just enjoy the experience. Just opposite there is Klungkung Royal palace - a lovely green place in the middle of the city. They will try to tick you to say that you need a sarong to enter but you don't. Anyway, they are really cheap, so it does not really matter. We pass through Sideman to get a bit more local feeling, nice views and we enjoy Kadek's stories about local life, his kids, education system, corruption etc. 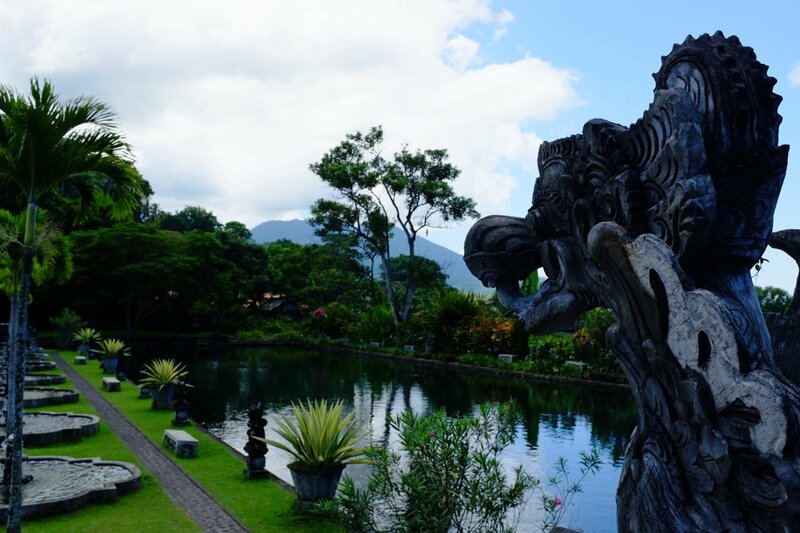 We also stop at Titra Gangga, a former royal palace which was destroyed by volcano Mount Agung in 1960s... It's a very beautiful place, much smaller than what I had imagined but wonderful. In Amed we stay at Kembali Bungalows managed by a Dutch couple. It was a wonderful surprise, the view, the pool, the ocean life just next. A pure bliss... Had also a nice chat with the owner about his life in Bali and what it meant to be an expatriate in Bali. 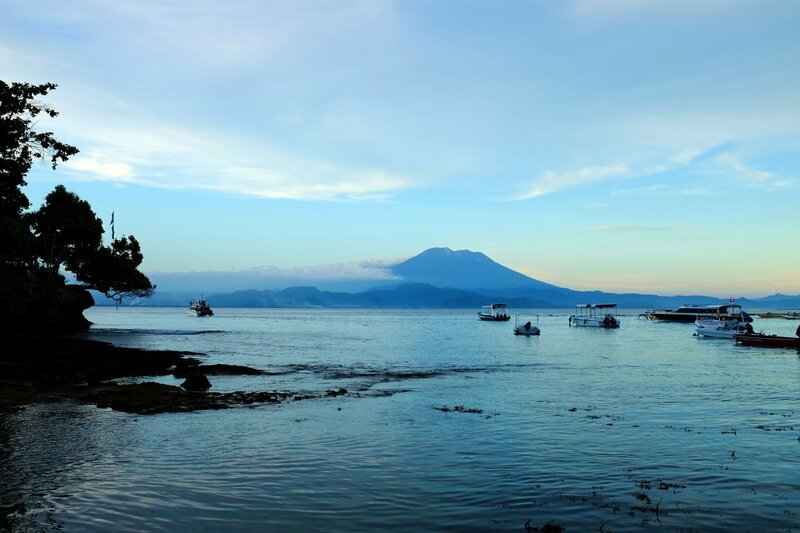 The biggest discovery for me in Bali was the sea life... Thanks to Triborg mask I finally managed to do some snorkeling and it was amazing! The investment in the mask was a great decision! Just 5 m from the shore in front of the hotel there was an amazing sea life! We saw so many fish, corrals, sea stars, even a sea snake... this was really the highlight of the trip. Amed is a great spot for divers. 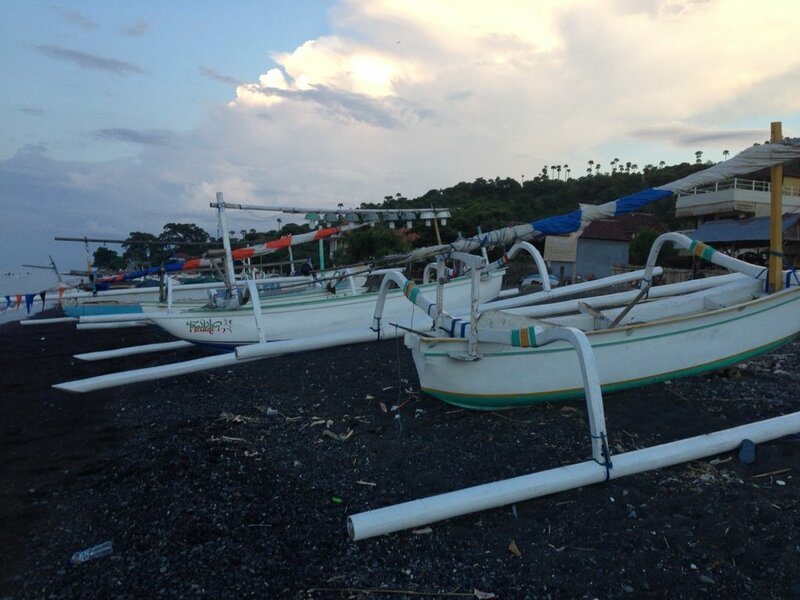 The evening views were amazing too, one could see a beautiful sunset and lovely jukung boats coming back from the sea. In Amed we had our best pina coladas and the massage at Amed beach was really great. We wished we had stayed a bit longer than only 3 days. 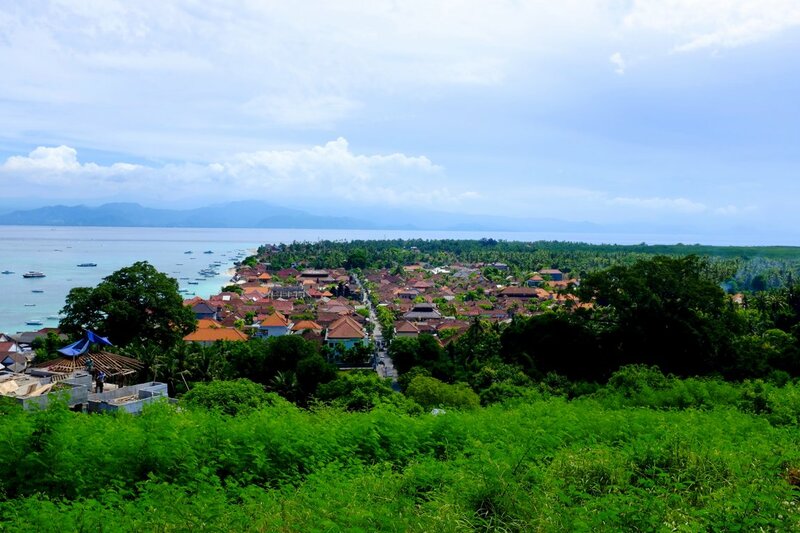 We had to move to Nusa Lembongann. We had arranged a transfer via the hotel and it worked out really well, we took a ferry from Padang Bai. We were impressed how organised the whole port was, the driver would drop you at the right kiosk, they would take your luggage and check that you don't wonder anywhere around and don't miss your ferry. We used Ekajaya which have renewed their ferries a year or so ago. Not many safety features on the boat but it felt Ok. 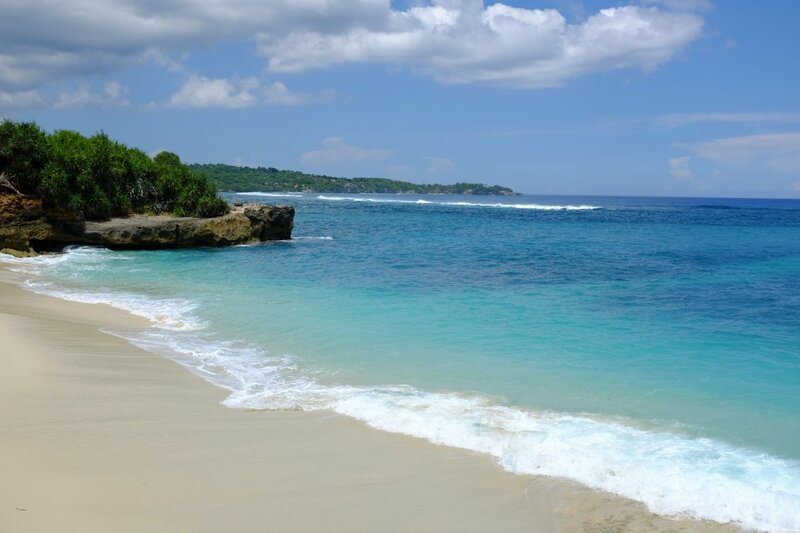 They say that Nusa Lembongan is like Bali 20 years ago. Hm... it did felt very local but we did not really see the super touristic Bali, so difficult to judge. Anyway, we rented a scooter (7 eur a day with no insurance ;-)) to get around and have a feeling of the island. Helmets are a rare find on the island. 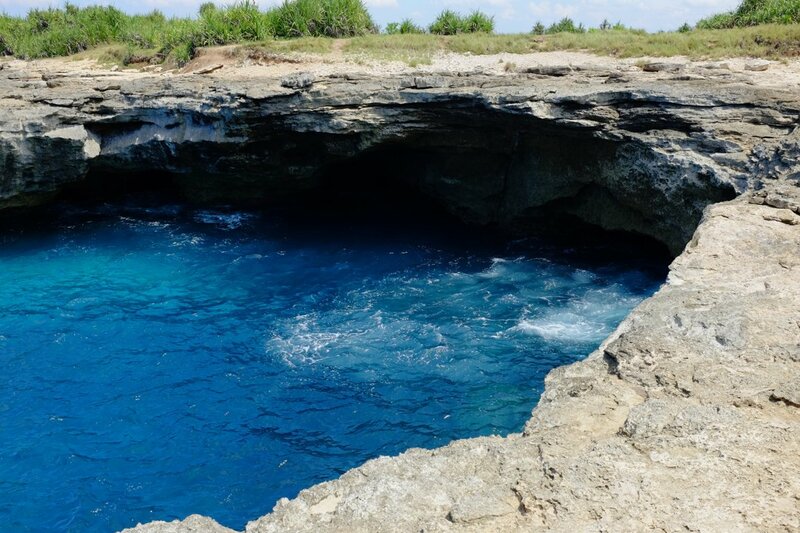 There are lots of beautiful spots around the island but swimming is really difficult because of currents. The sunsets at the Mushroom beach were pretty spectacular too. Just next you can observe local sea weed farms. 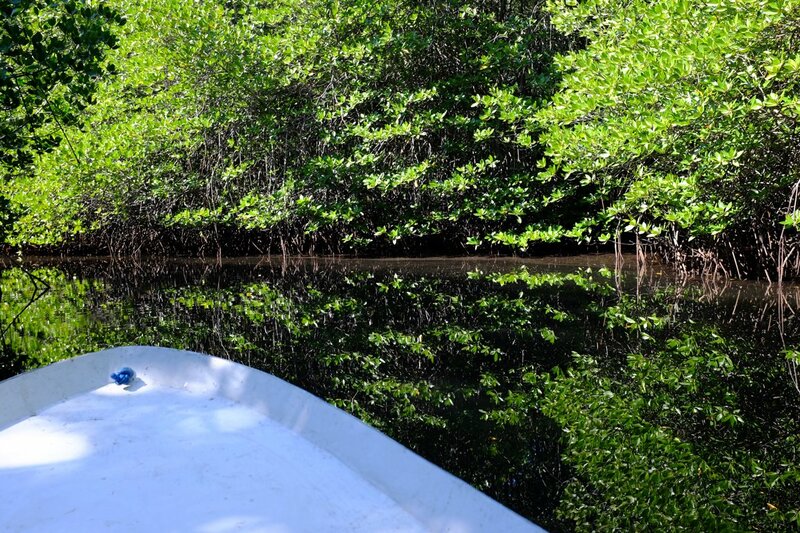 Mangrove point is also good for snorkeling, you can hire a traditional boat from there. We didn't but should have as it was the best easily reachable spot for snorkeling. The ride in jukung is super cool, kind of scary too as you can see huge waves crashing at the ridge... but we hope that the guy knows what he is doing. 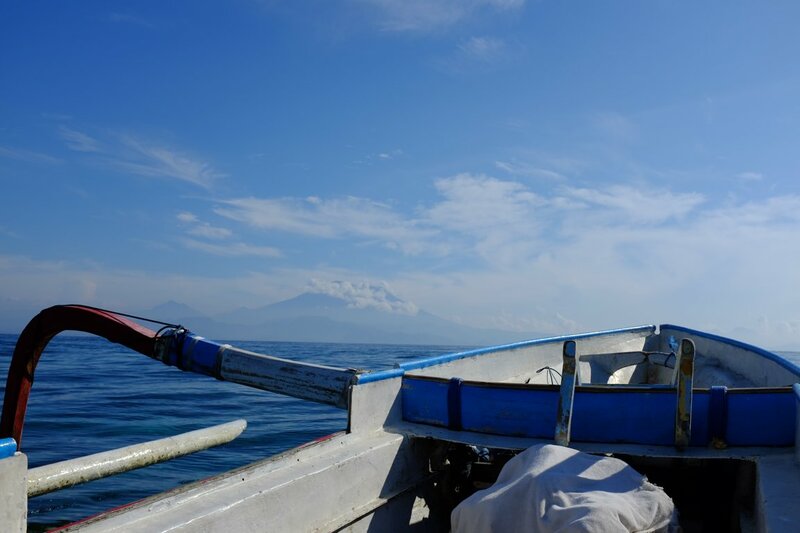 We get beautiful views and first snorkeling stop at Mangrove point is amazing, completely different from Amed - corrals are in a better shape but there are less fish. 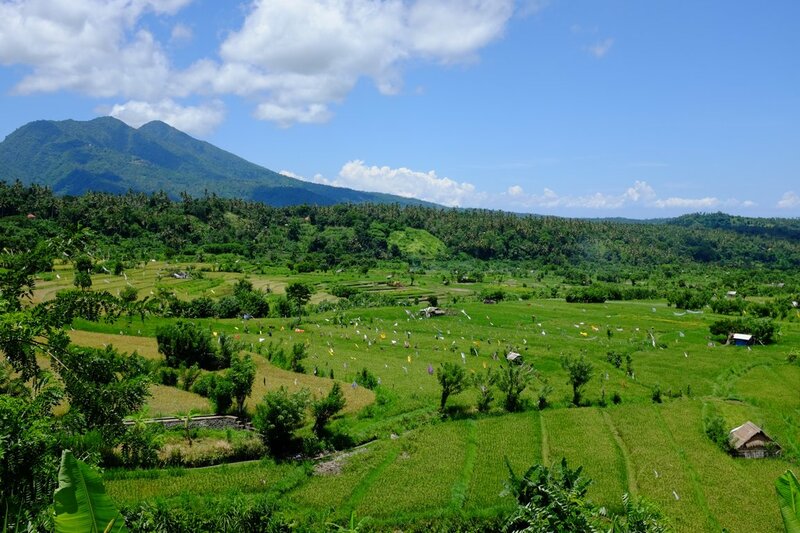 Although we had promised ourselves that we would not eat any western food while in Bali, at the end of the trip we were really fed up with rice and noodles... and the lemon grass, could not stand it anymore. We tried our luck at Bali Hai in the Mushroom bay and it was really really good, tripadvisor does not lie. 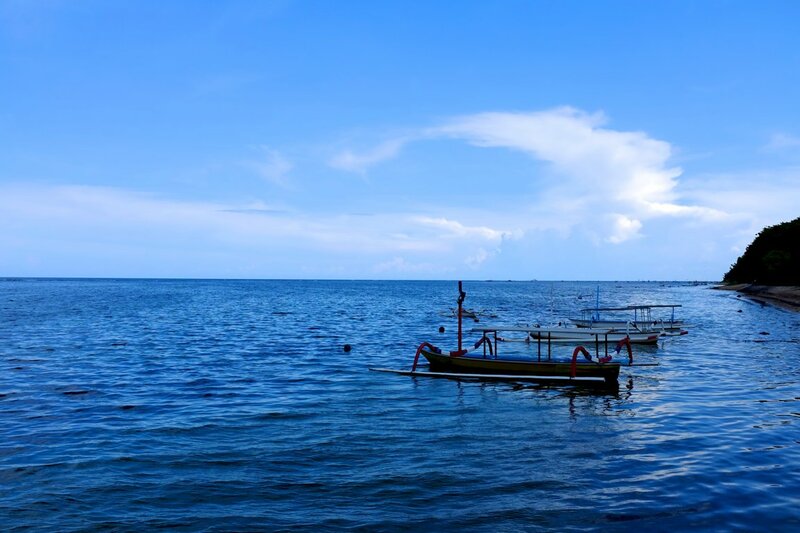 After 3 nights we had to head back to Bali, the transfer arrangement for the boat again was full of surprises as the hotel owners forgot 4 times that we needed the tickets... but as in other occasions, everything was solved and we could happily cross the sea to get to Sanur. There we had rented a private villa with a private swimming pool... Did I mention that breakfast was prepared for us in villa's kitchen? Ohhhh that was sooooo good! It was pretty amazing closing for the holiday. Villa Tulip was great and the location too - not far from the beach and lovely restaurants. Sanur was great too, small streets, Hardy's market not too far and the airport not too far either. I really enjoyed reading your report. Thank you. 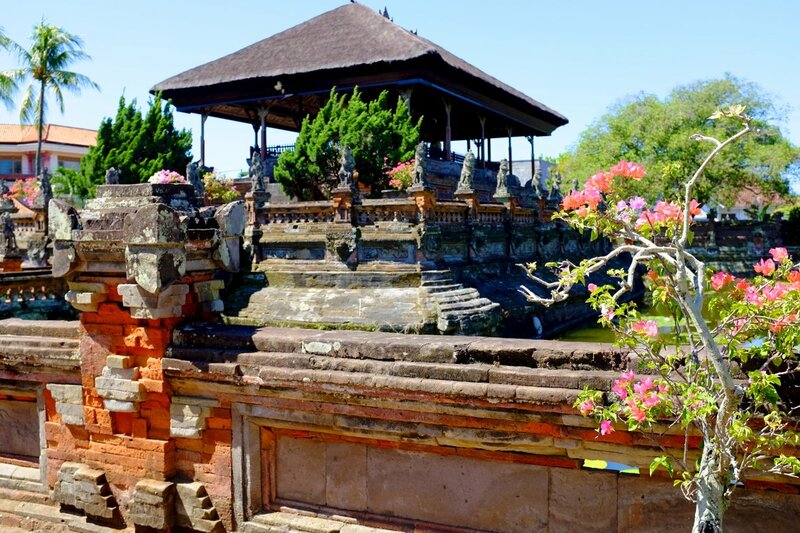 I leave on 1 September to travel to Bali. And I'm from Australia! This is trip number 8 and I've still so much to see. Can't wait to visit amed. If you ever come to sydney, let me know.